Will you Go Orange with us? This week has been an exciting week for the Cranston Goes Orange for No Kid Hungry food drive! Monday wrapped up most of the schools’ food drives, and although the tally is still ongoing, we know that together they have brought in over $1000! On Wednesday, the Cranston Herald article appeared in the paper, showing many (but not all–there were just so many!!) of the schools who participated. You can read the article and see the photos online here. This morning, our local television news show, The Rhode Show asked the girls to appear on the show alongside a representative from CCAP, the organization they chose to be the beneficiary of the annual food drives. You can watch that segment here. Although this year’s drive is just about done, we can’t wait to see who else will join us in next year’s Go Orange drive! This year orange seems to be everywhere. It’s the theme for a television series, “Orange is the New Black.” It’s the color descriptor often used to describe one presidential candidate’s skin tone or hair color. It’s commonly associated with the ever-trendy Pumpkin Spice flavoring currently being used to flavor anything and everything. It’s everywhere. Orange is also the color of fall, the color often associated with Halloween, and this week, even this whole month, we’re helping to make sure that people around here associate the color orange with something good: helping to end childhood hunger permanently by kicking off the Fourth Annual Cranston Goes Orange for No Kid Hungry food drive on Friday and the Third Annual St. David’s Goes Orange for No Kid Hungry food drive on Sunday. We didn’t come up with the concept ourselves, it’s part of the nationwide No Kid Hungry campaign. The past years’ food drives have grown and grown and we are so excited to see the enthusiasm surrounding Cranston Goes Orange for No Kid Hungry again this year. We had schools messaging us early on to see what date we had chosen for this year, and as soon as we announced it, we had sign-ups immediately, from schools to food service providers, to office buildings. Everyone is going orange for a good cause. This year we have the most participation that we have ever had. If you’d like to learn more about our past years’ food drives, you can keep scrolling on down the page on this blog that I have dedicated to the Go Orange for No Kid Hungry drives or click here to see the Facebook page dedicated to it. 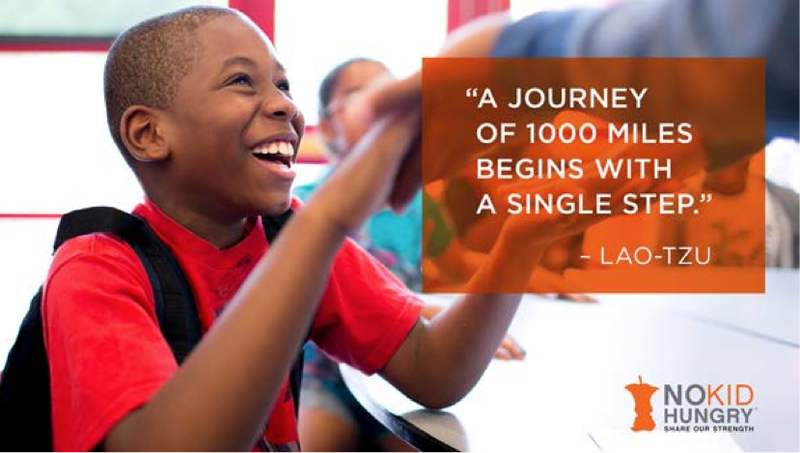 While you’re clicking, be thinking: Will you Go Orange for No Kid Hungry? And, just in case you are in need of a pumpkin flavored recipe, just type Pumpkin into this blog’s search bar and you’ll find plenty. To start you off, here is my favorite recipe for Pumpkin Cranberry Bread. The results are in! 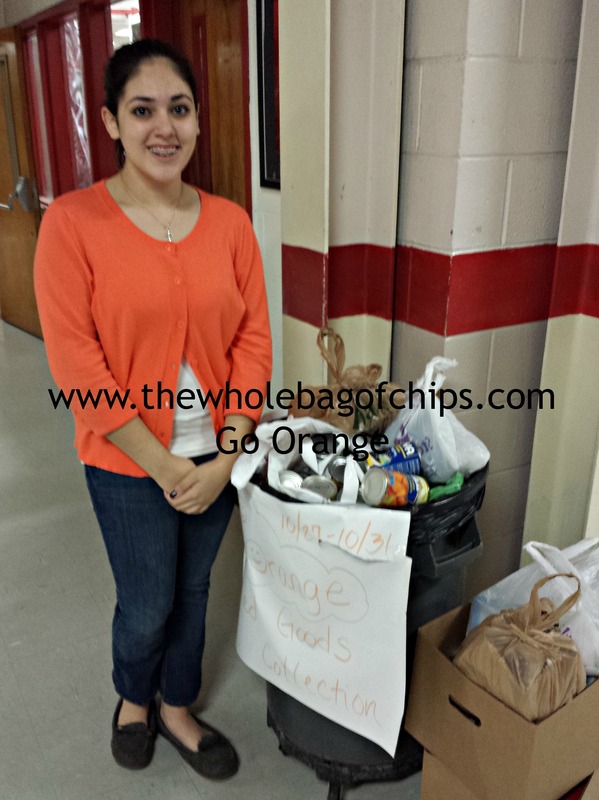 Another successful year for Cranston’s Go Orange for No Kid Hungry! This year we had even more schools and an additional city participate! You can read all about it here! I’ve determined that our Go Orange for No Kid Hungry day is like a wedding: so much anticipation and preparation and then it’s over in the blink of an eye. Friday, Halloween Day, was our family’s second annual Go Orange for No Kid Hungry day in our city. We started to talk about this year’s event before the school year began, and we settled on a date early on. We announced the event in September, about a month prior to Halloween. We spent the month promoting it on social media, telling friends and family and watching the RSVPs come in. Before we knew it, October 31 was here. 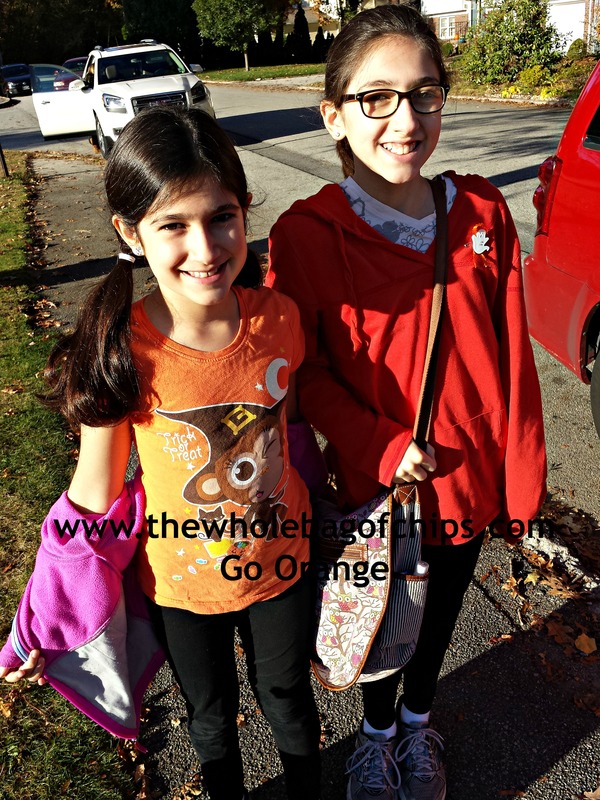 For our kids, it was sort of just another day at school-other than the fact that they had donated money to be able to wear orange and were surrounded by so many others wearing orange. In my older daughter’s case she was responsible for covering the event at her high school so she took some pictures and saw some of the food items that were donated when I stopped in to do my own photos that morning. Her homeroom alone had stepped up to the plate, raising almost $200. For our kids though, for the most part they were kind of in a bubble that day, unable to see what was going on all around them for the 2014 Go Orange Day. More than a dozen schools in our city participated in the event. Some raised money, some collected food, some did both. Some used the date to kick start their own, multiple-week food drives with a burst of enthusiasm and school spirit. 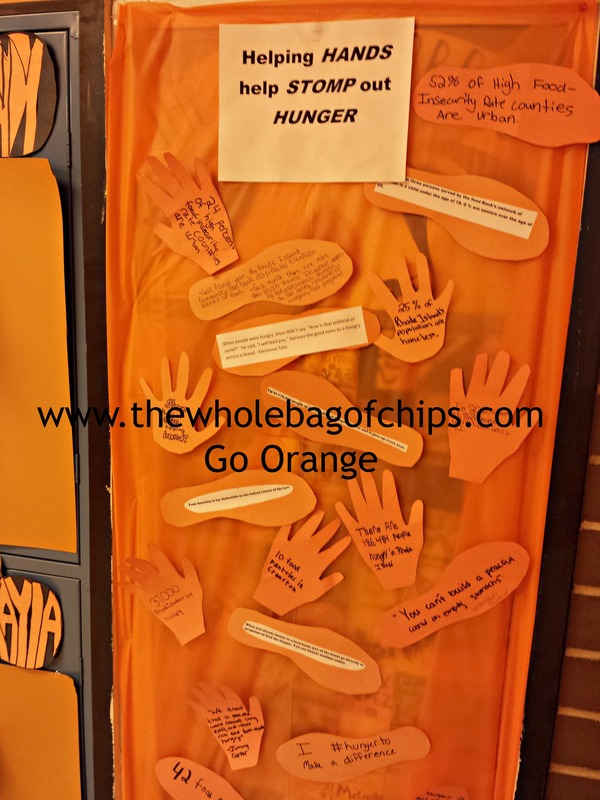 Others combined the Go Orange for No Kid Hungry with their own Boo Out Bullying event which was already a school tradition. Instead of doing one or the other, they did both. I spent the day driving all over the city, from one end to the other, stopping in at as many schools as I could in the short school day. I spoke to kids, administrators and teachers, watched food being counted and boxed and was handed checks for donations. My mouth dropped when I walked through what had been our middle school last year and literally saw it completely “oranged out” for the day. Streamers, posters, signs, research, statistics and more decorated each team’s area of the building, each more over the top in orange than the next. The principal told me that the students had been in until later in the evening the day before, trying to create the best orange “pod” as they call them, in the building, combining it with statistical research about childhood hunger. The enthusiasm was evident, to say the least. I visited an elementary school soon after where the teachers were just as decked out in orange as the kids, and I watched the students counting and sorting donated foods as I stopped to take a great photo of the staff. It was an amazing day, to say the least, and although I was so proud of my kids and how fast their idea and inspiration spread, the impact of what we’d done didn’t hit me for real, until Sunday. Sunday was the day our own church had our Go Orange for No Kid Hungry day. It was Youth Sunday where the kids run all aspects of the mass, combined with Go Orange Day, All Saints Day and there was a baptism too boot. It was a busy day. 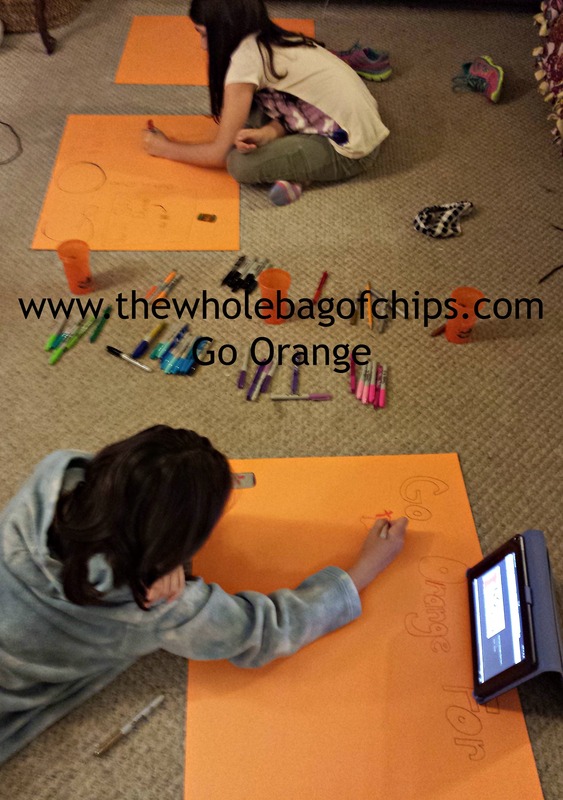 The night before, our three kids made orange posters to be used at the collection sites where parishioners would be entering the building. 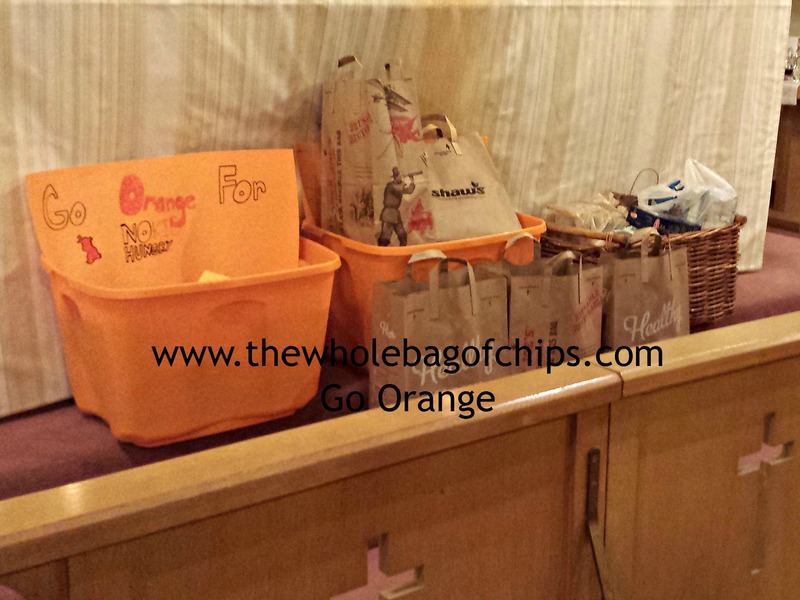 They, along with their peers in Sunday School had spent two Sunday School periods creating orange ribbons to hand out to individuals who made either a monetary donation or a food donation for Go Orange. The morning arrived, they picked out another orange outfit to wear, and off we went. There was a buzz of energy throughout the building as all the different aspects of the morning were coming together. We looked around and saw people wearing orange, carrying in bags of food and being handed orange ribbons by the youth of the parish. We’d brought two large, plastic orange bins with us to collect the food (one at each entrance) and we watched with hope as they began to fill. Partway through the mass, it was time for the children to bring up the food donations for the food pantry that the church supports. We watched, shocked as two of the men from the parish were asked to bring up the two bins. And a big basket. And about four other large paper bags. Full.of.food. It took the men two trips to bring up all the food. The donations were place on the floor in front of the altar. One idea from our kids last year, and now two years in a row we’ve inspired an entire city to Go Orange for No Kid Hungry. We’ve helped to make a difference. We, along with thousands of students, hundreds of teachers and administrators, City Hall and our church all helped to fight against childhood hunger. It was a great feeling. We talked about it that night over dinner. The kids could now see tangible images of the difference they’d helped to bring about in our community. They seemed to be happy and proud. We talked about next year and the things we’d do differently or the same, because we know that there will be a next year. We’ve already been asked by some of the schools if there will be a Go Orange for No Kid Hungry 2015. Of course there will, because sadly, we didn’t end hunger permanently. We’re helping, but we’re not quite there yet. I guess that’s the biggest difference between this and a wedding. The wedding truly is all that anticipation and then it’s over. Our Go Orange days are only over for a short time. We’ll continue to anticipate and wait and participate, over and over again, year after year, hopefully making a small difference for other children in our little corner of the world. 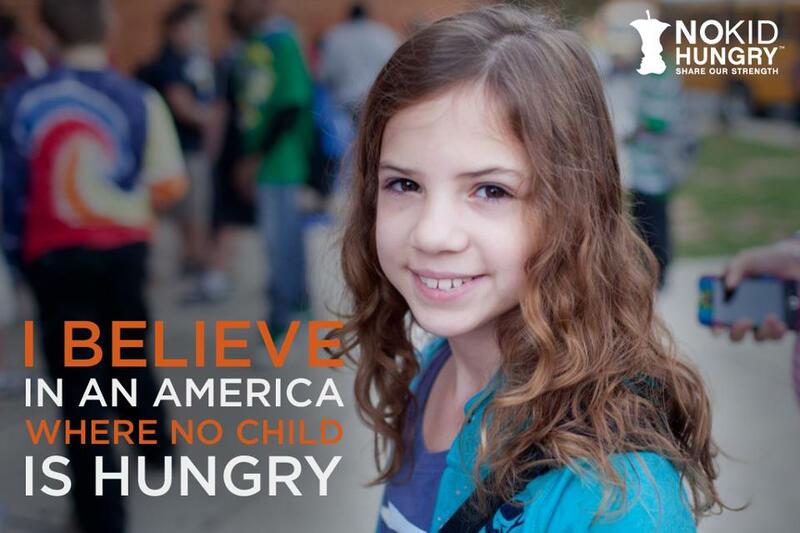 No one should be hungry in America, especially not a child. I recently saw a staggering statistic in a Huffington Post article last month about the number of homeless children in America. The article stated that the number of homeless children in America (this includes those who were able to be counted for the statistics, but there are many who weren’t) rose a whopping 18% from the 2010-11 school year to the 2012-13 school year, with the total number of homeless children accounted for, an unbelievable 1.3 million. There are many homeless children in hiding to avoid being put into foster care or to avoid being separated from siblings, or living in other unconventional situations, as the article describes, who were not counted in these statistics. So we’re using 1.3 million as a starting point, really. I can’t wrap my head around that. rely on school breakfast if it’s offered, and school lunch during the five-day school week. Anything else may be uncertain for them. It’s estimated that at least one out of five children are struggling with hunger. That’s 16 million hungry kids. If you’re a reader of my blog, you may remember that my kids sponsored Go Orange for No Kid Hungry days at their school last fall, and this year we’ll be doing it again on Halloween Day, Friday October 31. Hunger is something that touches children in every state in America. Some of the wealthiest cities and towns often have a dark side where there are families who are homeless and hungry. Our family is little, but our schools are bigger and our city is bigger than that, and our state…even bigger. Our goal is to get the word out, to spread awareness, to make everyone realize that childhood hunger in our city, state and country is a huge issue. We want to help, to do our little part to make a difference, and you can too. Even though we are choosing Halloween Day as our Go Orange for No Kid Hungry day here, you can really go orange any day of the year! It doesn’t take a lot of time out of your day, it’s not an expensive undertaking, it’s a simple way to make a big difference in a child’s life. You can read the article about our 2013 Go Orange Day here. You can see an additional photo here. I was recently asked by those at the national No Kid Hungry organization if I’d like to be an official No Kid Hungry blogger. I was beyond thrilled and honored to be asked, and of course I said yes. You can see the No Kid Hungry Blogger badge on my page today. Although my kids are making a difference at their schools, here is where I can make a difference and help. Here is where I can spread the word. And so, today I’d like to welcome you to my Go Orange for No Kid Hungry page. I’ll add to it whenever I have news or photos to share, links to post. I hope you’ll click on the links above and think about how you too, can help end childhood hunger in America.